Devikulam is a beautiful hill station located in the state of Kerala in India. 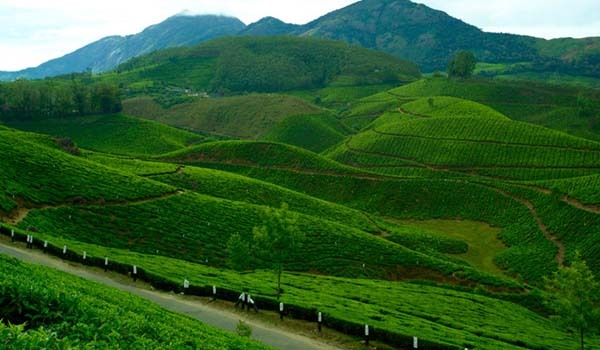 This hill station is located near the very popular hill station of Munnar. Similar to Munnar, Devikulam is also known for its magnificent natural ambiance and also it has a mythological background to define its importance. According to mythological stories and beliefs of the locales, it is said that the place is connected with the Ramayana Era. IT is said that the goddess Sita of the Ramayana epic took bath in the serene waters of Devikulam Lake surrounded by lush, green hills, now named Sita Devi Lake. The lake draws tourists not only because of its sacredness but also for the curative powers of its mineral waters. Most of the inhabitants in this town speak Malayalam and Tamil. You can witness the beautiful and dense lush green tea plantations, and also see the natural flora of fine red, yellow and blue gum trees. Devikulam is a place where you can spend your entire vacation just in the laps of nature and you cannot miss to visit Munnar from here. Munnar is an extraordinary place and often recognized as one of the best place for the honeymooners. You can roam around the beautiful tea plantations and see the beautiful blue Neelakurinji, the flower that covers the beautiful valleys of Munnar in every twelve years. You can also sail in the water courses that offer you with exciting boating facility. Do not miss the Anamudi which is the highest peak in South India is an ideal place for trekking loving people. You cannot draw yourself from the mysterious flowers all around in the valleys. You can also visit the Mangala Devi Temple. This temple is left with it’sruins but the views of this temple are splendid. If you really want to have the best of this view of this of this temple then you can visit on its grand festival which falls on the day of ‘Chaitra Poornima. You can visit the Eravikulam National Park where you can spot rich flora and fauna of Kerala.In this national Park you can spot around 26 species of mammals you can spot NilgiriTahr, which is found in the largest population. Among other you can spot leopards, tigers,Indian Muntjac Gaur, Wild dog, Sambar, Golden Jackal, Jungle Cat, Dhole, Nilgiri Langur, , Indian Porcupine, Elephants Nilgiri Marten, Stripe-necked Mongoose, Ruddy Mongoose, small clawed otter, Dusky palm squirrel. Among birds you can spot 132 species such as Black-and-orange Flycatcher, Kerala Laughing thrush White Bellied Shortwing Nilgiri Wood Pigeon, Nilgiri Pipit, and Nilgiri Verditer Flycatcher. If you are visiting with your family hen do visit the Pallivasal Falls which is a small waterfall located near this city. Near this waterfall you can have a great time for picnicking and enjoying the calm place with the green environment all around. You can roam all around the districts of Idukki where you can see lots of elephants and have a great time watching the flora and fauna. Help us to improve this article/list "Devikulam". We would be glad if you can comment below and provide your valuable suggestions and feedback. If this page about Devikulam have any wrong information/list or out of context content, then you can report us as well.